The Amiibo bug bite me hard a few weeks ago, where I went from owning none of the nicely made little plastic figurines to not being able to stop at three. Nintendo has been raking it in with their miniature collectibles, regardless of the fact that they’re pretty much damn useless when it comes to anything other than looking pretty. That said, I’d buy a stack of Splatoon ones in a heartbeat. 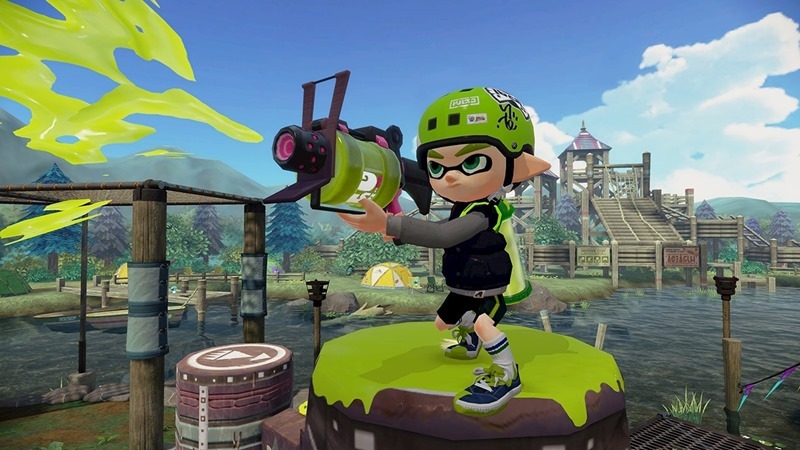 Splatoon is easily one of the best coming to the Wii U – or any other system this year. The paint-filled cartoony platformer was my favourite game at rAge last year, and it’s certainly making an impression worldwide. So it’s not surprising that Nintendo could possibly be considering an Amiibo line for the game – a collection which a local retailer just happened to leak. 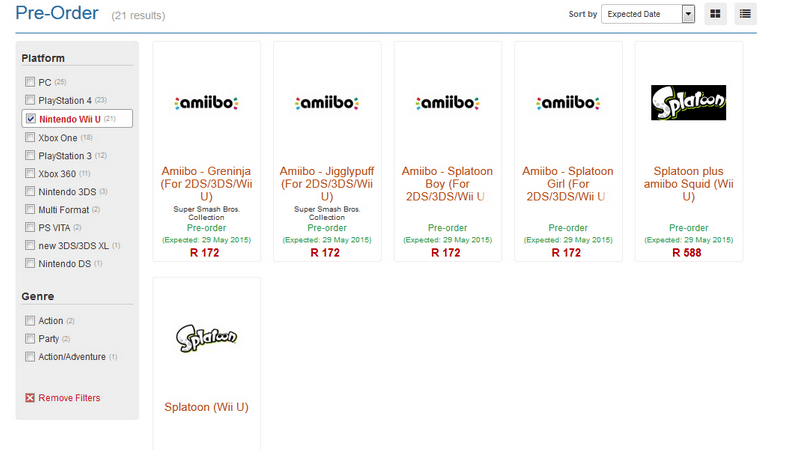 If you head over to Raru right now, you’re able to pre-order Splatoon in time for its May launch. You can, however, also pre-order two unannounced Splatoon Amiibo, along with the equally speculative Jigglypuff and Greninja models. These are four Amiibo that have yet to be formally announced, but the timing of their launch seems far too convenient. That, and the listings for all four seem pretty detailed – despite the lack of any promotional images. Retailers usually have inside info on upcoming products well before the media do, so that they can plan and organise stock well in advance. It’s most probably a case of pre-order listings going up far earlier than they should, since I highly doubt Nintendo doesn’t actually have these in the pipeline. Still, without any official word, chalk this up as a rumour in the meantime. But considering we’re already in March, we probably won’t have to wait long to hear about the next wave of Amiibo anyway. My wallet has already disappeared in anticipation. Next article First look at Melissa Benoist in costume as SUPERGIRL!